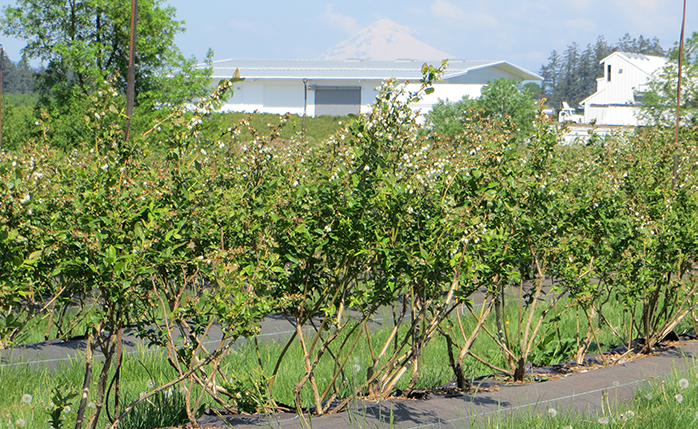 Gingerich Farms started growing blueberries in 1981 and at our peak we farmed over 100 acres of blueberries. Today, Gingerich Farms Co. still farms 16 acres of conventional and 22 acres of organic blueberries with sights to expand as the market evolves. Fresh blueberries are marketed through Gourmet Trading Company and Homegrown Organic Farms. Frozen blueberries are marketed through Gingerich Farms Products, Inc. Gingerich owned blueberries are packed right on the farm, minimizing the time it takes to get from our field to your table. 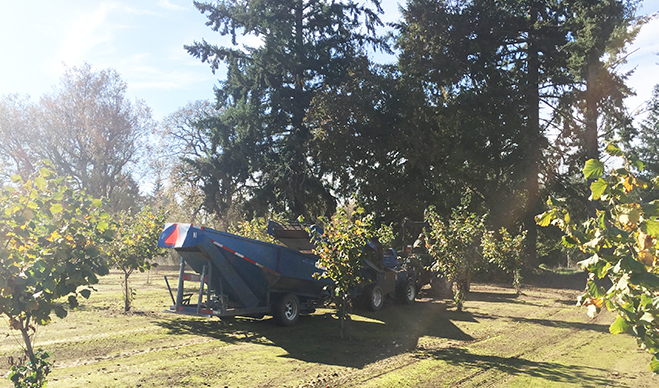 The Gingerich family manages approximately 650 acres of hazelnut orchards, with the oldest having been planted in 1979. 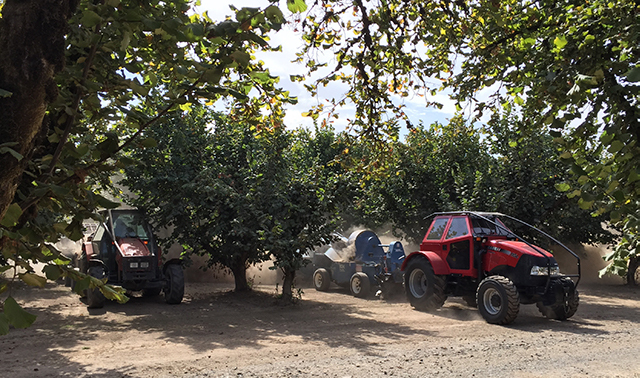 The orchards are a mixture of family-owned and leased fields. Gingerich Farms Co is interested and willing to discuss with owners that have established hazelnut orchards nearby looking for an outside party to take over management. Please reach out to us if you think we may be able to help you with your orchard. The 3rd Generation of the Gingerich farmers, Richard L. Gingerich, was a very keen grower of seed crops. With his knowledge and farming ability, the Gingerich family still farms about 300 acres of rotating seed crops. In recent years, this has included perennial ryegrass, tall fescue, radish, and clovers (red, white, crimson). Along with growing hazelnuts, Gingerich Farms Co. also is a receiving station for George Packing Co. and Northwest Hazelnut Co. Though we receive an average of 6.5 million pounds of hazelnuts per year from growers, we are able to receive, wash and dry over 10 millions pounds in a year. Hazelnuts are a growing commodity in Oregon and we are in a great position to receive and wash more pounds of product for local farmers and processors. As we watch this exciting time of growth within the hazelnut industry, we are constantly focused on additional expansion for faster and easier deliveries from growers and improved throughput for the processors we serve. 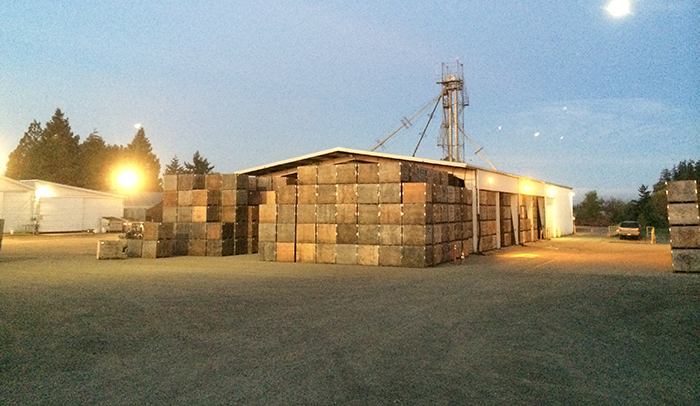 Gingerich Farms Products, Inc. finished building a brand new blueberry packing facility in 2008. It includes the ability to preheat water with waste heat, the ability to use natural lighting for workspace illumination, and extra insulation for decreased power usage as well as a controlled packing environment that helps to preserve fruit freshness. 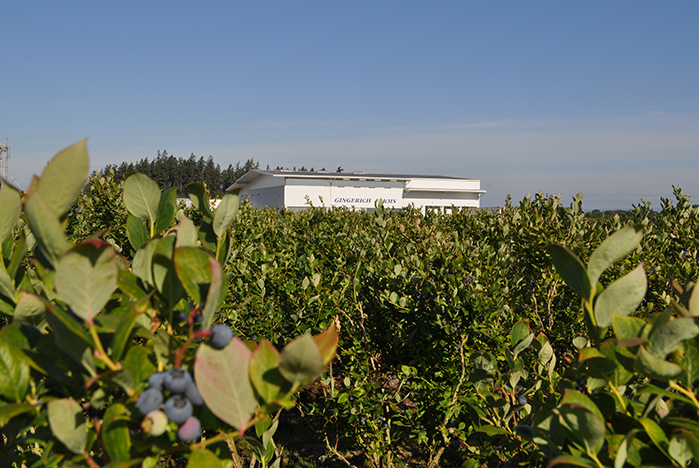 Though our on-farm blueberry acreage has decreased over recent years, our packing of blueberries has only grown. We have long standing relationships with local growers who deliver their blueberries to us. Gingerich Farms Products, Inc. no longer markets fresh blueberries in house, but instead partnered with Gourmet Trading Co. and Homegrown Organic Farms to provide fresh market opportunities. We believe the grower is as much our customer as the people buying the fruit. We at Gingerich Farms Products, Inc. are happy to have paired with companies that share our perspective. Gingerich Farms Products, Inc. packs blueberries for freezing and handles the sales in house. Quality control testing results are recorded by pallet of fruit. This allows us to match fruit to our customers’ specifications in a much more exact way than many other sellers. Fruit is then sold to national and international buyers. If you are looking for wholesale frozen blueberries, click the link to reach out for a quote on current pricing.